How to get a £15,000 bet on politics. Yes, someone walked in to one of our shops in Sheffield yesterday and put £15,000 on Ed Miliband to remain as Labour leader until the general election. At odds of 1/8, they will be picking up a profit of just under £2,000 if they are right. People are sometimes sceptical of these reports of relatively large bets being placed on political markets. If you were to go on to our website, you’ll usually find the maximum stakes allowed are much lower. That’s because we need to have some automated controls to prevent us running up large liabilities in the event of something relevant happening whilst we’re not paying attention. On the other hand, if you go into one of our shops or ring our telephone betting lines, you’ve got the chance to ask for much bigger amounts and get them referred to a trader. In the case of politics, usually me. Then we get a quick chance to have a think, make sure nothing important has happened to effect the odds, and make a decision. If we don’t get our automated risk management systems right, we run the risk of losing a lot of money when stuff happens, especially if that stuff happens when the relevant traders aren’t around. 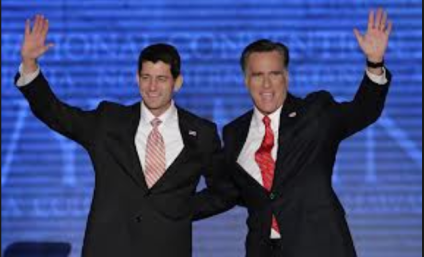 The worst example of that happening in politics was the announcement of Paul Ryan as Mitt Romney’s running mate in Autumn 2012. The news leaked overnight, things didn’t work as they should have at our end, and I woke up to discover we’d taken thousands of pounds at around 3/1 on Ryan to be the Republican Vice-Presidential candidate. Utterly galling, when you’ve spent weeks managing a market that was previously looking quite promising.